This Fair Isle class is for knitters who would like to venture into two-color knitting but haven’t had the chance. 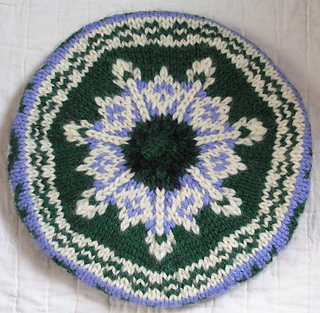 A small tam comprised of ribbing, a border pattern area, and the wheel area will be knitted on double points or a circular needle, in four colors, although never more than two in a round. 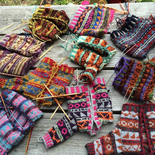 Techniques included in the workshop are: knitting with a color in each hand, weaving yarns to reduce snagging, reading tam charts, knitting traditional peerie, border, and wheel patterns, and shaping and finishing of the tam. The class will end with a discussion of alternate ribbing treatments and designing a tam.